Because the best is only good enough! 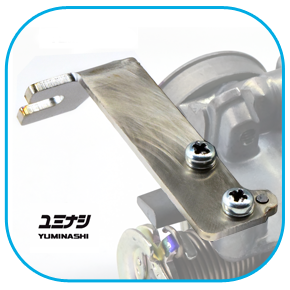 With the new 2018 model 31mm throttle body for 2012-2015 Honda VARIO TECHNO 125 the YUMINASHI R&D worked a TOTAL SOLUTION out that covers all issues with upgrading from the stock throttle body in to a larger version which is usually in combination with a big bore kit. The first very noticeable difference compared to the formal model is that the IACV valve is gone, and has been replaced by an air adjust screw in the same fashion as you can find them in a carburetor. Like this it's really easy to get your idle mixture right and with this you actually hit two birds with one stone since this is also the solution for a sometimes hard to start engine like a VARIO TECHNO 125 with a 164cc or 175cc kit installed. If your electric starter have a hard time to make your engine turn, then adjust the air screw on the new 2018 throttle body, give it some adjustments with turning the air screw to the right, and you will see that your electric starter have no problem what so every anymore to turn your crankshaft around and to start your engine. The new stainless steel bracket/throttle cable holder (which can be ordered as a separated part over here), is installed on the new 2018 throttle body to make your install as easy as possible. 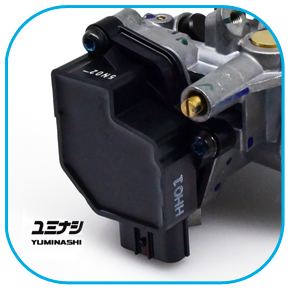 The 31mm throttle body comes with the SPECIAL YUMINASHI SENSOR BLOCK INSTALLED to allow easy AFR tuning/rpm pickup when cruising around and whacking the throttle open without any hiccups, the torque will be right there! A stock CBR150R throttle body can be used as an alternative, and many vendors are selling these all over the world, but it’s really hard to get your tune right, certainly with the stock ECU installed. 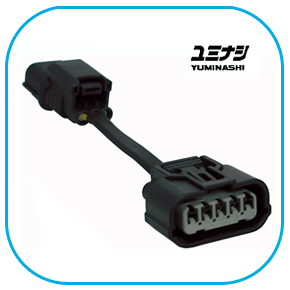 With the Yuminashi 31mm throttle body, the stock CLICK/VARIO 125 ECU can be used because of the specific special installed Yuminashi sensor block! 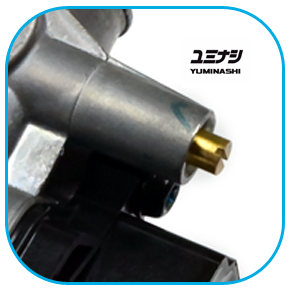 The main reason for the Yuminashi R&D to start with an improvement on the 35mm, and also on this Yuminashi 31mm throttle body, was to solve the issue of tending to run very rich while running lower RPM's on a stock ECU and this with about any injector type. The 5 pin to 3 wire loom which comes with the set makes it really easy to connect the throttle body to your stock wire harness. THIS THROTTLE BODY SET INCLUDES FREE SHIPPING WORLDWIDE! ** This throttle body need to be installed with the B-type manifold set 17111-KZR-000SC which you can explore over here. (airbox diameter need to be modified). Click the button below to add the 31MM PGM-FI THROTTLE BODY (VARIO TECHNO 125 / CLICK 125i/ BLADE 125 FI) to your wish list.